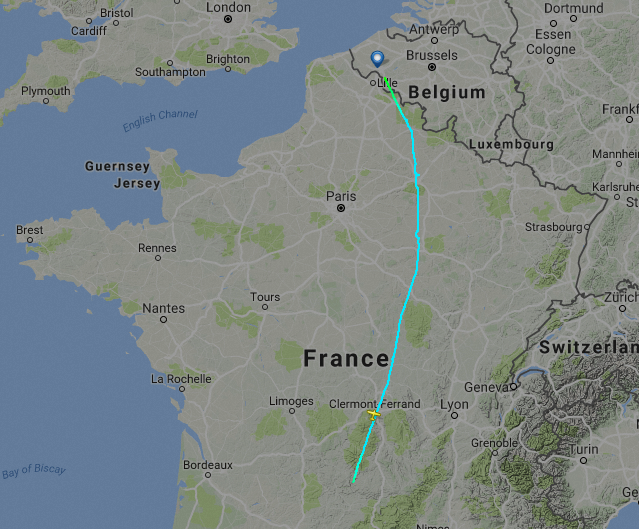 Works was to be done in our house near Rodez, so we did what we were supposed to do: take the plane, fly there, and work ! 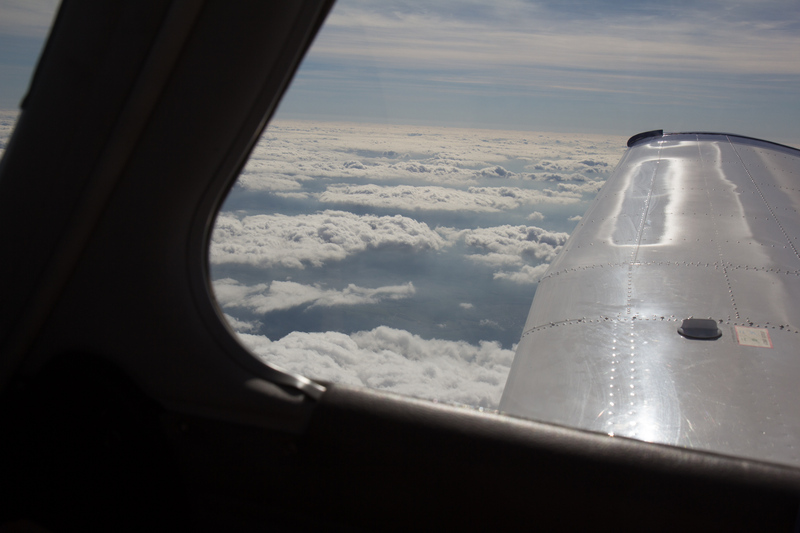 One problem though: Papa Charlie, our beloved Piper Arrow, was still in maintenance. 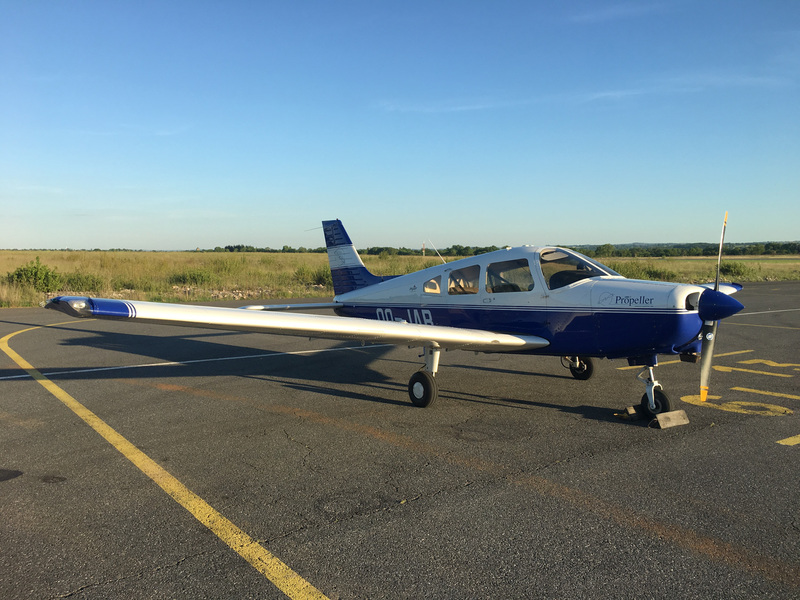 Solution: rent the good old Piper Warrior from Propeller in Kortrijk and do the flight. 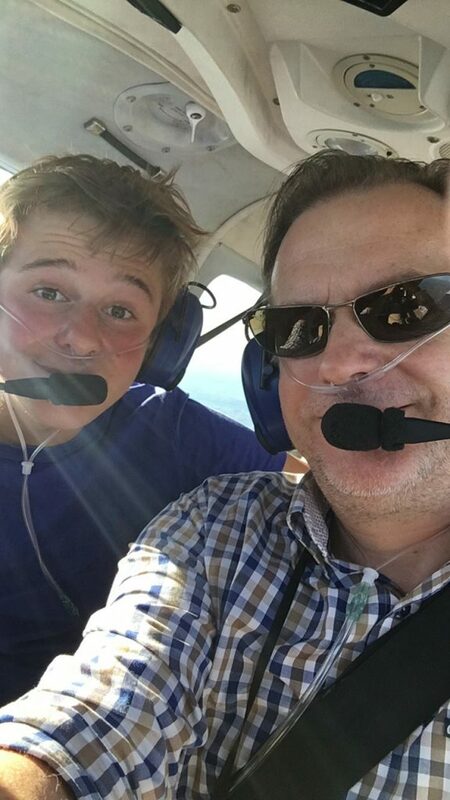 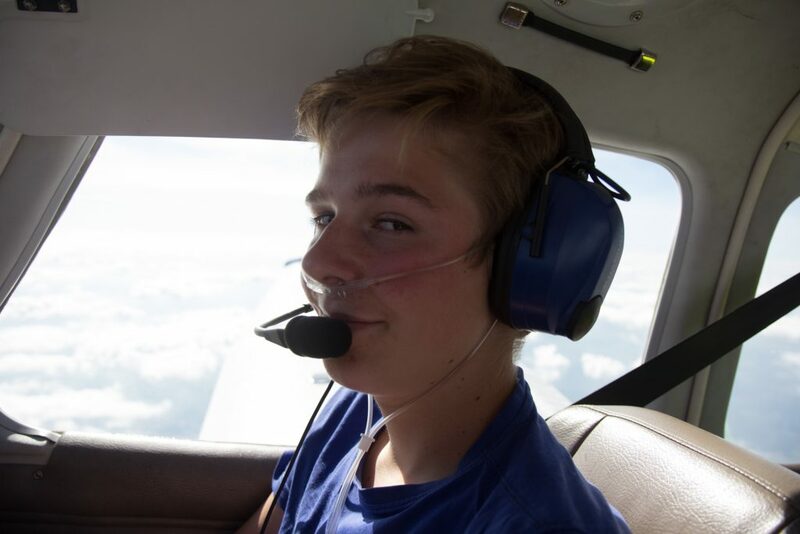 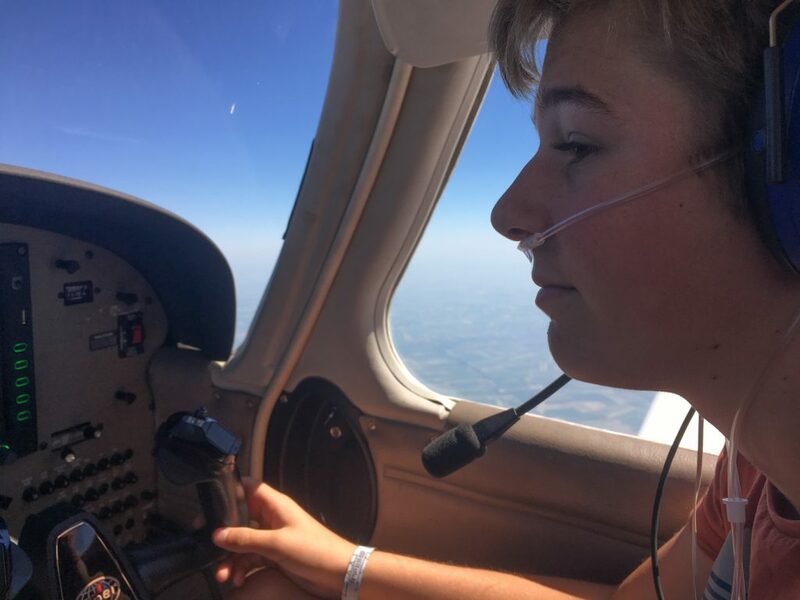 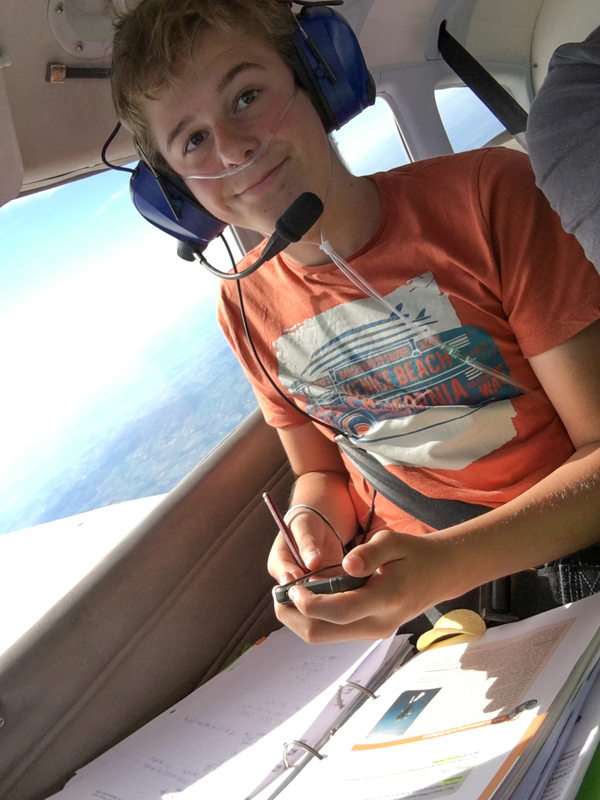 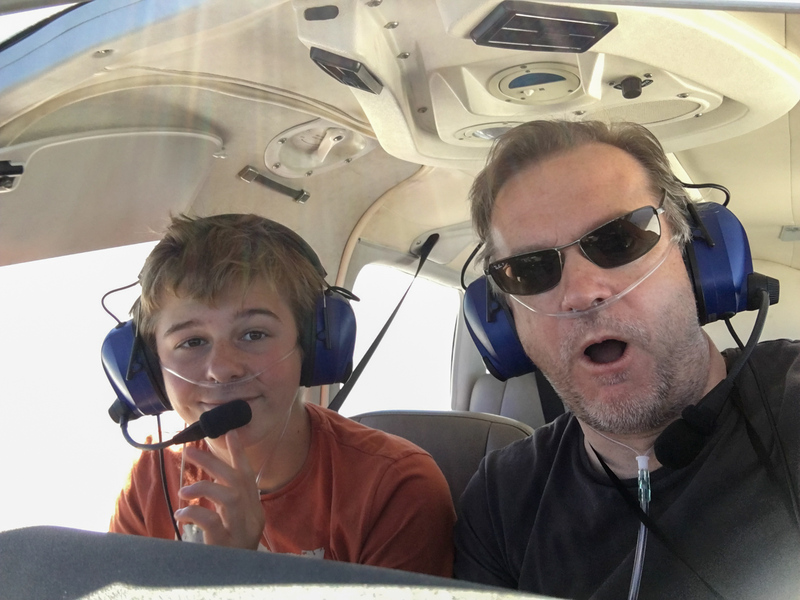 My son was my co-pilot, annex auto-pilot. 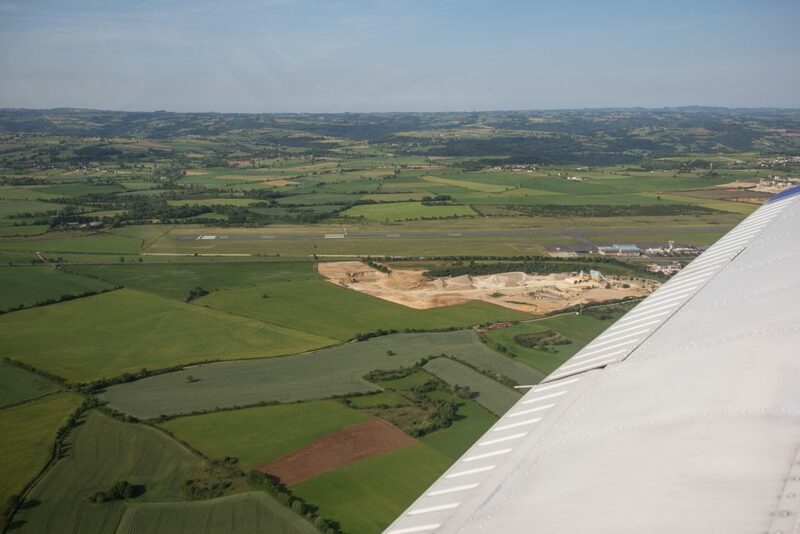 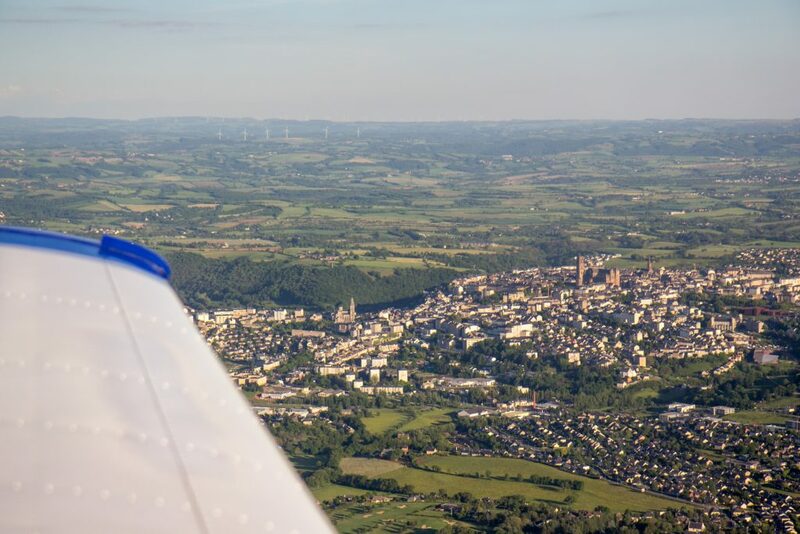 Once in the neighbourhood of Rodez, we saw the airport from afar and did our approach and landing on runway 13. 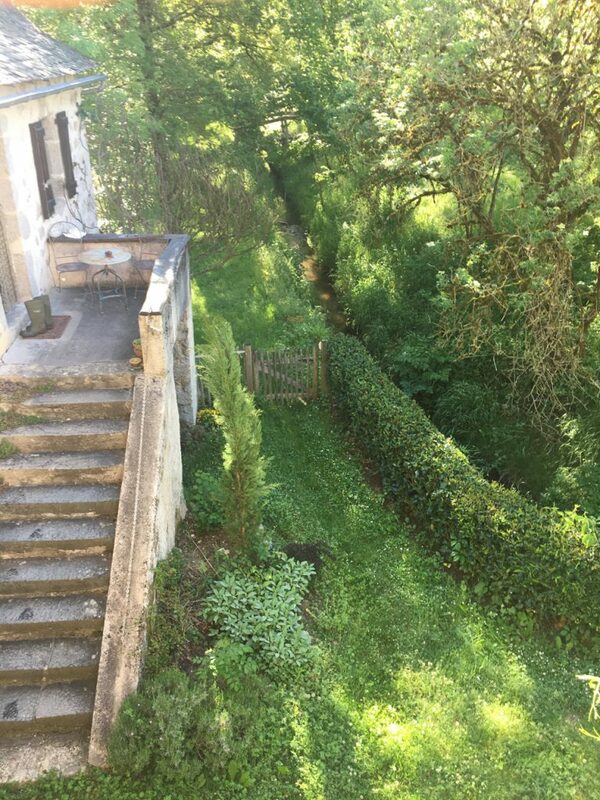 We rented a car and drove to our home. 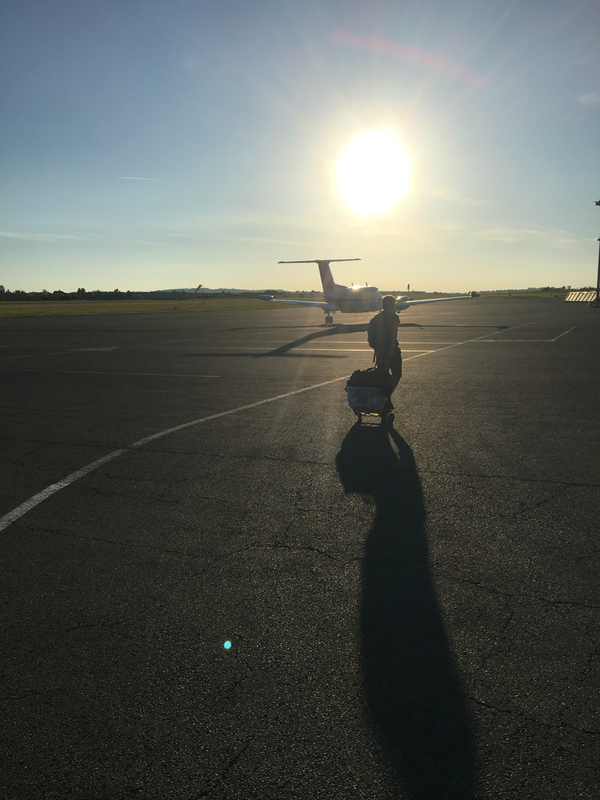 We did our work, enjoyed the blasting sun. 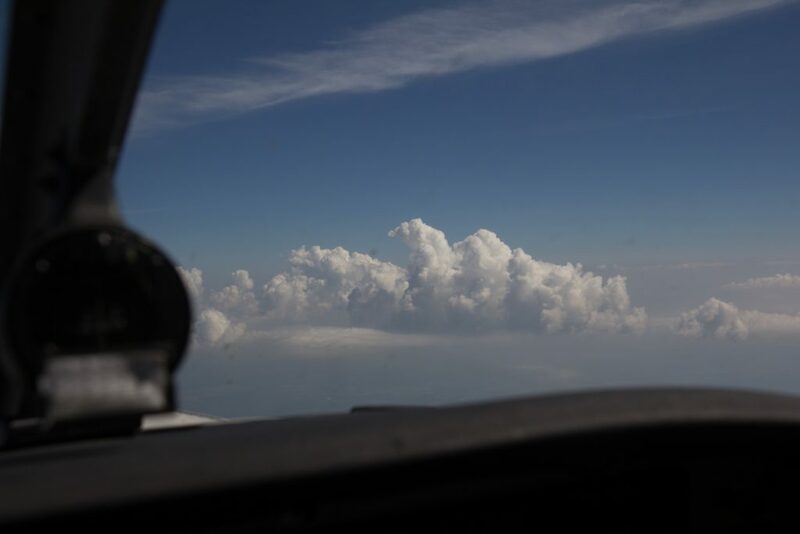 A couple of days later, we returned back home. 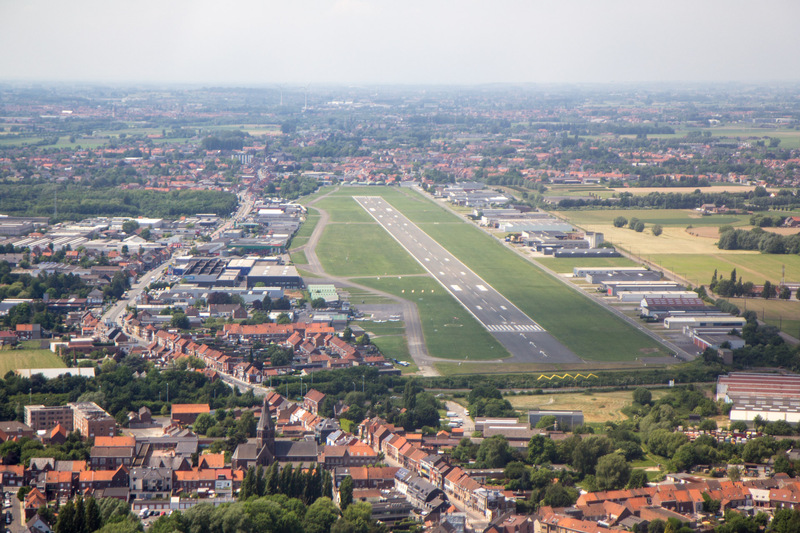 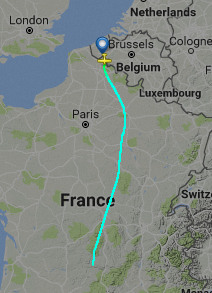 After more than three hours of flight ( and a little homework done), we landed back in Kortrijk on runway 24.